HCMS draws deeply from the theories and methods pioneered just over a century ago by Dr. Maria Montessori. The Montessori education system is based on children’s social and emotional needs in addition to natural learning tendencies as observed by Dr. Montessori classrooms around the world. Classrooms at HCMS, from infant to grade 8, are organized into a developmentally appropriate prepared environment for multi-age groups (0-3, 3-6, 6-9, 9-12, and 12-14). Specially designed, manipulative materials for development are used that encourage children to engage in learning activities of their choice. 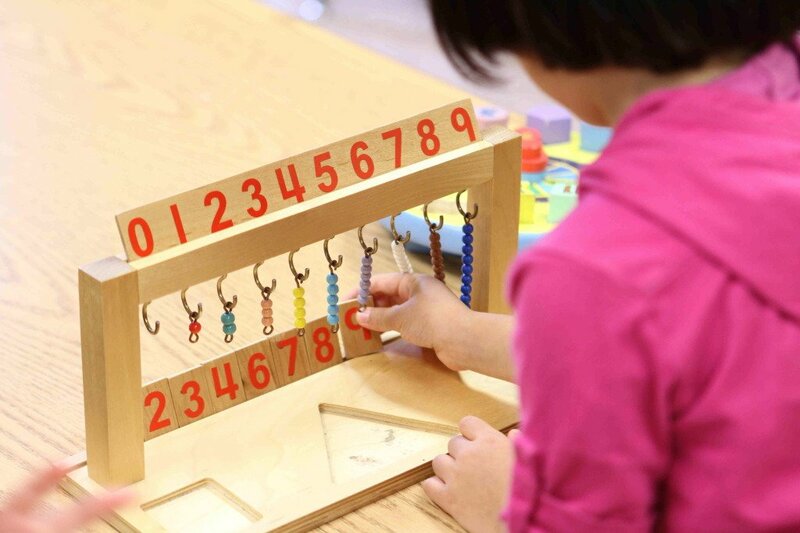 With guidance from a trained teacher, children in a Montessori classroom learn and make discoveries by using the montessori materials, they also improve concentration, become self-motivated learners, develop self-discipline, and a love of learning. Today, Montessori schools are found worldwide, serving children from birth through adolescence. In the United States, there are more than 4,000 private Montessori schools and more than 200 public schools with Montessori-styled programs. HCMS is a member and leader in the Montessori community. Our commitment to the Montessori philosophy of education is grounded in our belief that children learn most effectively through hands-on, experiential education and the process of investigation and discovery.